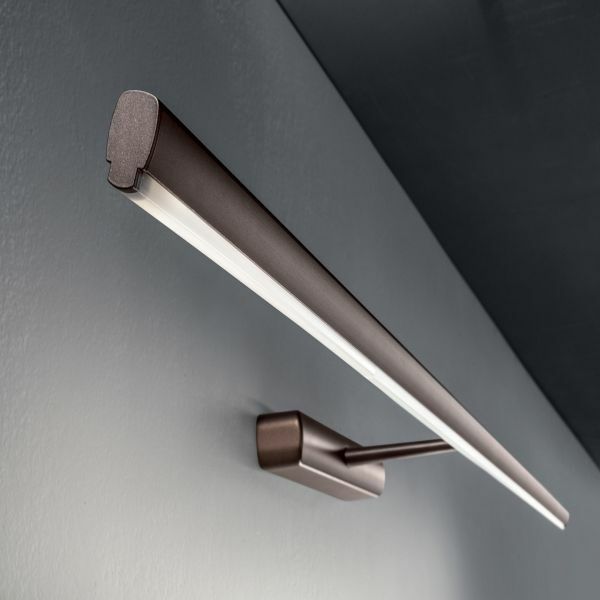 Product information "Straight LED Wall Light"
The LED wall lamp Straight of the Italian manufacturer Linea Light fascinates by her minimalist elegance. With gentle light and slender line this wall lamp is ideally for the lighting of pictures and mirrors. They can choose from 4 color possibilities and 2 different dimensions. Therefore light is universally applicable. Dimensions S in inch (WxHxD): 20.59" x 1.22" x 5.86"
Dimensions L in inch (WxHxD): 32.40" x 1.22" x 5.86"
Related links to "Straight LED Wall Light"